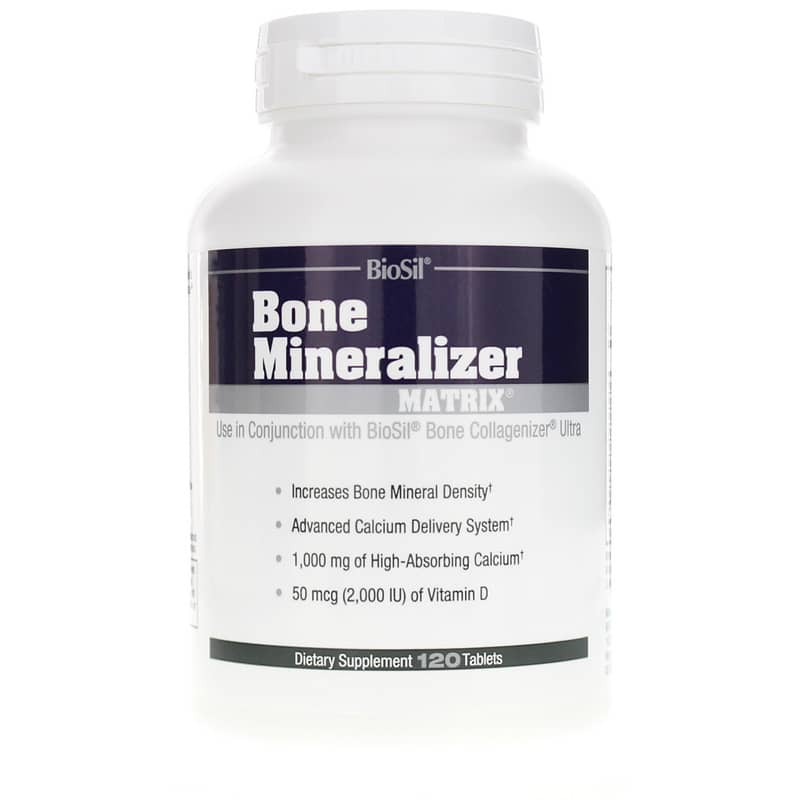 BioSil Bone Mineralizer Matrix from Natural Factors helps promote bone and mineral density for stronger, healthier bones. 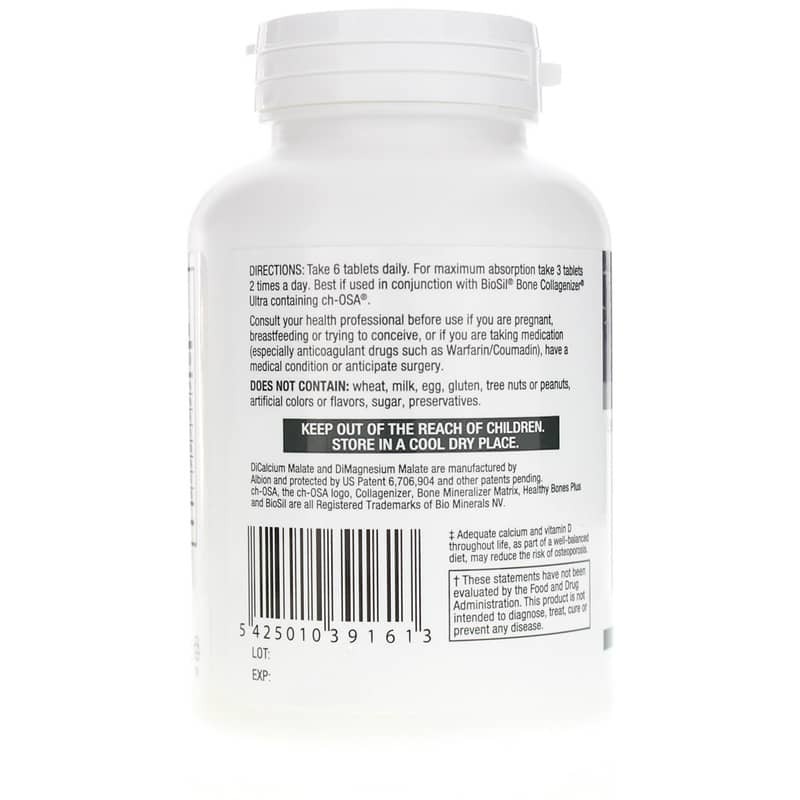 Other Ingredients: microcrystalline cellulose, magnesium stearate, methylcellulose, glycerin. Contains NO: wheat, milk, egg, gluten, tree nuts, peanuts, artificial colors or flavors, sugar, preservatives. Adults: Take 6 tablets daily. 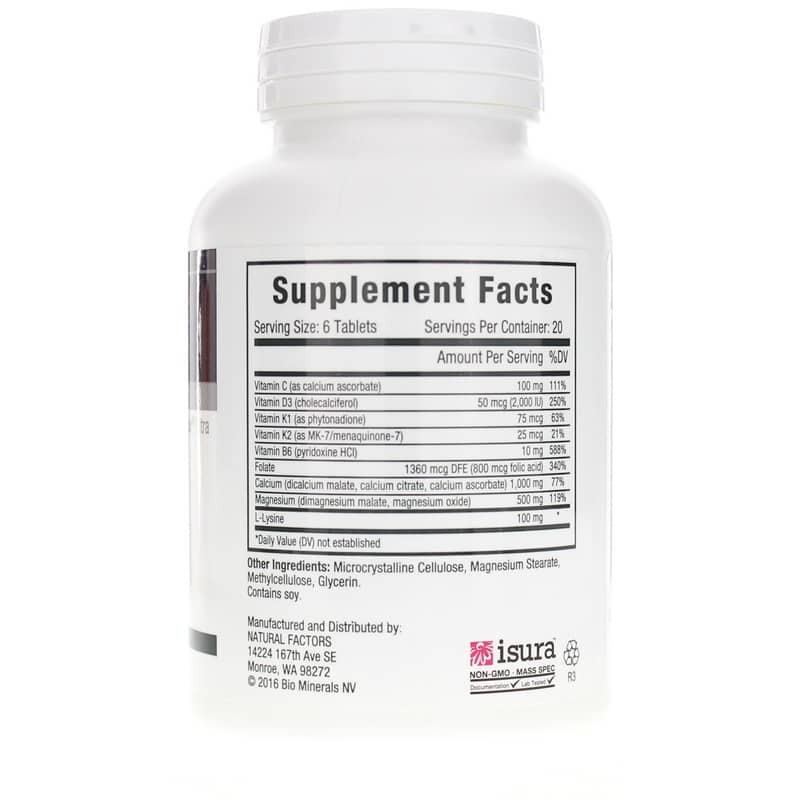 For maximum absorption, take 3 tablets 2 times a day. Best if used in conjunction with BioSil Bone Collagenizer Ultra. For years I searched for a calcium supplement that I could tolerate. Biosil's Bone Mineralizer Matrix is very well tolerated and has been a miracle for me. I have recommended it to many of my friends that have trouble taking Calcium and I provided my medical doctor with the product's name so that he can recommend it. Great product but wish it was capsulated. They are dense little bricks and 6 daily are very hard to do. One got stuck causing me to need to visit an MD to get scoped.